I’m convinced that the creative process for fiction writers is a messy mixture of imagination, insecurity, and wee bit of insanity. Combine ingredients, shake well, then get the synapses to start firing, and wait for sheer genius to flow from every pore in your body. I can only speak for myself, but I don’t frequently stare at a blank screen, my fingers poised at the keyboard, waiting for ideas or inspiration. No, more likely, I’ll be pounding away on the keys, creating something clever or profound… before I realize that it has nothing to do with the manuscript I’m working on, or the blog I’m writing. Some of my best writing, unfortunately, has been zapped into the great digital void by the delete key, because it didn’t fit. OK, I have to be honest. Some of my worst writing has suffered the same fate. I’ve read in a number of books and blogs that writers should never edit while they write, because the muse is fickle, and you don’t want to interrupt her when she’s on a roll. But it sure seems that you can waste a lot of time and creative juices in the process. I’ve tried to go the other route and write the perfect paragraph before moving on and then spent an entire day on twelve sentences. If that kind of discipline is required to be a successful writer, I’ll pass. I’m just not wired that way. I started out with a writing process that was a little schizophrenic, a little neurotic and definitely not productive. It involved writing a blog or a story in a vacuum and then posting it and waiting for the world to react. I’d wait all of two minutes before the internal voices would begin. So then I go back and re-read it. “It was pretty good, wasn’t it?” … and I repeat the process all over again. Within a half hour, I’m a basket case. That was the routine with the weekly blog. But the hundred thousand word manuscript? I was in a near-catatonic state waiting two weeks for feedback from a freelance editor. Over a period of time I realized two things: I couldn’t wait until I had a finished product to get some kind of feedback and a conversation with myself was not productive – or healthy. So I discovered the answer by involving some other people in the conversation… and going for a drive. 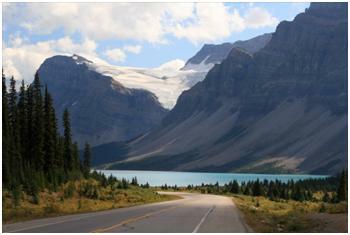 Destination: Currently I’m on the road to Banff, to take in the beauty of Lake Louise. Your destination (the book, article, blog, etc.) has to be appealing enough to be worth the journey. When you finally arrive (and complete your book / project, etc.) it will be beautiful – and rewarding. 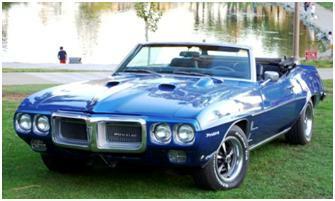 Vehicle: I’m driving a 1969 Pontiac Firebird. It’s a convertible. And it will fly. The engine rumbles. Heads turn. As you write, enjoy the ride! It will get monotonous and challenge you along the way, so make sure that you still get a thrill when you sit behind the wheel. My role: I’m driving. Ultimately, I’m responsible for getting us there. So I have to control when we go, how fast we drive, when we stop, and what route we take to get there. As a writer, I can’t delegate these responsibilities. I want to be in charge. I need to be in charge. 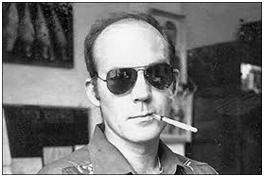 Hunter S. Thompson – he sits in the back seat, as far away from me as possible. When he’s coherent, he’s the agitator, and always looking for excitement. He occasionally screams, “This is boring! Let’s get this baby up to 140 miles an hour!” Sometimes he smacks me in the back of the head and cracks up if it causes me to swerve off the road. He breaks out the hallucinogens every once in a while, but he always goes to excess, and then passes out. Thankfully. As a writer, you need to push the limits. Stretch us. Stretch yourself. Make Hunter proud. Eeyore – he sits right behind me, so that he’s within reach if I need to punch him while I’m driving. He constantly says things like “We’ll never get there;” “I’ll bet you’re lost;” and “Who’s going to read this garbage?” Eeyore serves a dual purpose. You don’t need everyone telling you how great your writing is. Occasionally you need a pessimist voice, just to keep you honest, so long as it doesn’t overwhelm the conversation. But even more importantly, there are times when it just feels good to punch the pessimist in the nose and shut him up. 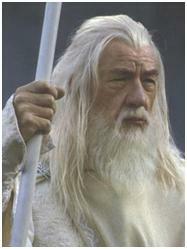 Gandalf – he sits in the middle, in between Hunter and Eeyore. He helps me navigate and sometimes points out things that I’d never see when it’s raining or dark outside. He’s also helpful to have around, in case I’ve driven into a ditch or I’m completely lost. He keeps the forces of evil at bay. Sometimes you need to have the confidence that when you write you can draw on an ancient and mystical force – and know that all your hard work can lead to something magical. 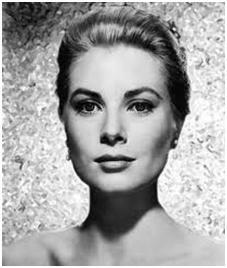 Grace Kelly – she rides shotgun in the passenger seat. She lets me know that this is a noble pursuit, and there’s a certain amount of grace required in the writing process (sorry for the Grace / grace, but trust me, the reminder works). Now that she has returned to the US after her royalty gig in Monaco, she constantly asks, “What did I miss?” I want to be the one to show her this world – my world. Confidentially, I want to impress her. Your writing should not appeal to the least common denominator. Help us discover a new way to look at the world through your eyes…and your words. Make us glad we took the journey with you. The writing journey can be therapeutic, and sometimes it is liberating. But it can also be lonely. You may be visited by demons, which can wreak havoc with your creativity and confidence. So don’t go alone. Pick an awesome destination. Assemble your crew carefully. Then enjoy the ride. We can’t wait to read about it. This blog post originally appeared as a guest post at Creative Flux, the blog devoted to creativity and inspiration written by the incomparable Terre Britton. Just in case you need some music for your ride, here’s one of the quintessential traveling tunes, Born to Run, with concert footage of the Boss. When working in the garden, or coaching kids in the afternoon, I have written essays in my head that have yet to see paper. I admire that you have taken the next step. Interesting choice of passengers. I will have to think about those for a while. I am starting to think that some kind of recording device might come in handy. Please continue to share. It makes me miss our conversations. One of my favorite stories revisited, Karl! Everything you say applies to memoir writing too. The thought occurs to me that we get to invite whomever along for the ride and stop to let them off at any point in the journey. There is something empowering about taking charge of all the different voices that either interrupt, obstruct or facilitate our writing journeys. I agree , they each play a critical role in striking a balance. Sometimes getting agitated is the best thing that can happen to our writing but we call use a little Grace sitting shotgun to reel us back in. I love it! Kathy, you are truly a kindred spirit on this journey. It IS empowering to take charge of the voices. I appreciate your help in allowing me to discern who I need to listen to and who I need to ignore – or punch. I think you play the social media answer to Grace for a lot of writers – thank you, and keep up the good work!